Long considered one of the three most beautiful scenic views in Japan, Amanohashidate is a large, tree-covered sandbar in Miyazu. 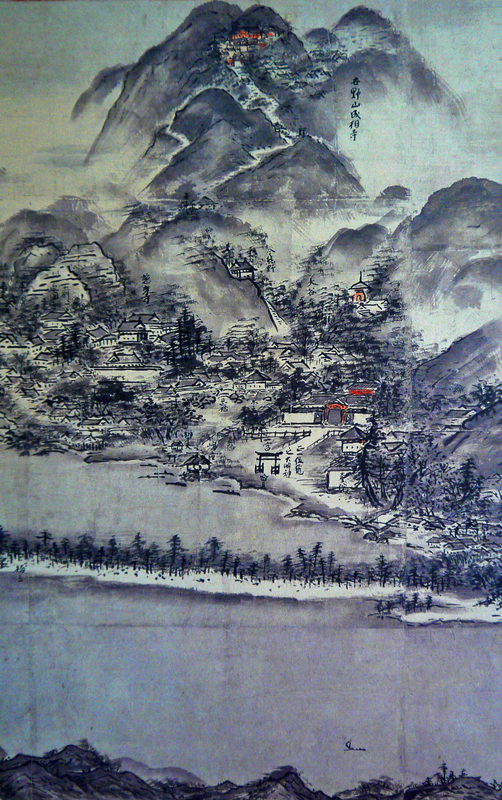 The image below is a slice of a 1.78-meter-wide calligraphic painting of the scene drawn by Sesshū Tōyō (1420–1506) near the end of his life, at age 82. Note the amazing sense of perspective he creates with his mastery of light and shade (notan). He captures the feeling of calm that often overcomes one once the initial thrill of the sheer splendor wears off. This is an excellent example of how art can filter out the other emotions of an experience and make us mindful of the peacefulness it can induce.